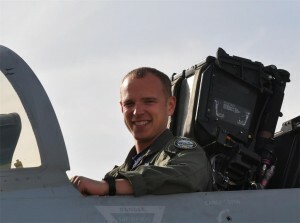 OSWEGO, NY – Lt. Nathan H. Williams, 28, was one of two people killed Wednesday when the F/A-18F Super Hornet they were flying during a training exercise crashed in a field near Naval Air Station Lemoore in California. Lt. Matthew I. Lowe, 33, also died in the crash. Williams is the son of city attorney Gay Williams and retired elementary school teacher Al Williams. He was a 2000 graduate of Oswego High School. Mark Fierro, who was Williams’ hockey coach in high school, recalls him as a quiet leader on the hockey team. Williams reportedly and received his commission through the Naval Reserve Officer Training Corps at the University of Rochester in May 2004. “I know I join everyone in the community when I say how deeply and profoundly saddened I am by this news,” added Bill Palange, Williams’ former music teacher. The entire Williams family had a “deep, deep commitment to music” with all the boys – Jeff, Nate and Seth, he said. “Nate, as was the case with all the boys, was incredibly talented,” Palange said. Williams was an avid athlete as well and sometimes his two very hectic schedules collided, Palange remembers. News reports from the site say the aircraft went down shortly after noon in a grassy field about half a mile from the base. Lemoore is about 30 miles south of Fresno. Our thoughts and prayers are extended to the Williams family. God bless you, and support you through these difficult times. Our sincere condolences on your loss. May you find comfort in your wonderful memories of Nate. So sorry we have lost such a wonderful young man. He must have been very bright and dedicated and I’m sure you are very proud of him. You must be great parents to have raised such an exceptional young man. Our prayers are with you. Our thoughts and prayers are with you during these very difficult times. I want to thank you as well as your son was serving our country to protect us and our freedoms. May God Bless tyour entire family. Our thoughts are with you during this horrific time. I can remember watching him play hockey against my son David. It’s so tragic that so many young lives are lost. I’m so sorry for your loss. Our thoughts and prayers are with the Williams family. I’m sure the entire community feels saddened for your loss. 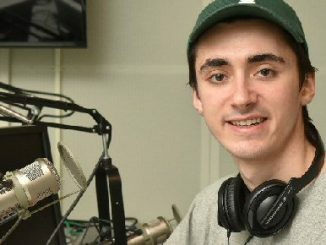 This news truly hits hard as this community-son will be rested in peace. May God Bless your entire family through these days. May He keep him by his side forever. Our deepest sympathies go out to the Williams family. May your fond memories of Nathan give you peace and comfort during this very hard time.